The iLife V8s vacuum and floor mopping robot is suitable for the cleaning of large and small surfaces. The vacuum robot removes dirt, dust and (animal) hair thoroughly from hard floors such as parquet, laminate or tiles as well as carpets. The robotic vacuum cleaner is equipped with two long side brushes. Thus, it ensures optimal cleanliness along the edges and even in corners. Dirt and dust is collected in a large 750 ml dust bin. For a particularly thorough cleaning along the walls, a special "edge mode" can be selected. With a height of only 8 cm, the robot vacuum cleaner also cleans under low furniture. As a result, it ensures cleanliness even in places that are difficult to reach with a conventional vacuum cleaner. The iLife V8s can be equipped with a large water tank (300 ml). Thus, it is able to wipe even wet. In wipe mode, the robot divides the surface which has to be cleaned into 7 x 7 m squares. This makes wet cleaning particularly efficient. 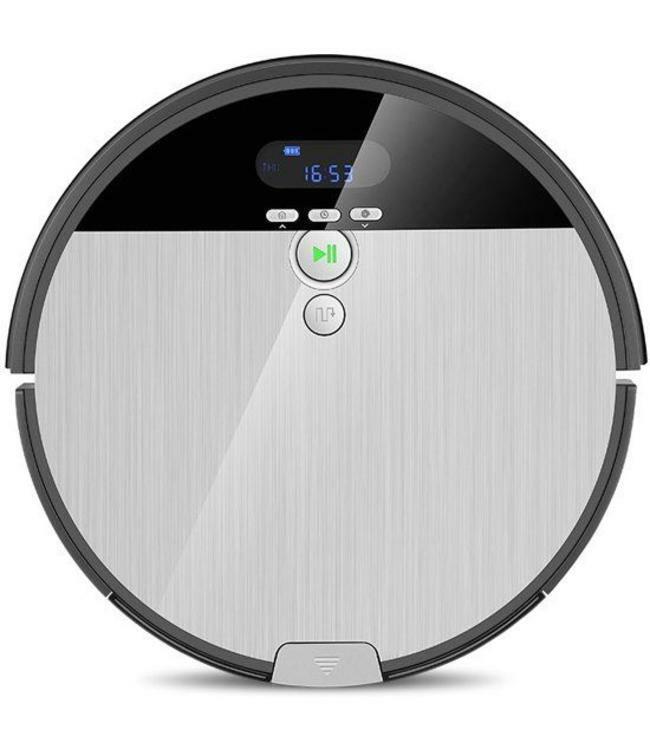 Auto mode: The robot vacuum cleaner independently calculates an efficient cleaning path. Path planning mode: The vacuum robot systematically cleans the surface in parallel lanes. Spot mode: The robot cleans a particular spot intensively. Edge mode: The vacuum and floor mopping robot navigates along the walls to thoroughly clean the edges. MAX mode: In MAX mode, the vacuum cleaner increases its suction / wiping performance to optimally clean a particularly soiled area. You can create an individual weekly schedule for the iLife. It can be set exactly, on which days it should work. The V8s then automatically starts the cleaning process at the defined times and automatically returns to the charging station when finished or when the battery is low. The iLife V8s is equipped with various sensors. They prevent the robot from falling down and help to detect objects in the room. This protects your home furnishings.